For most people in their 20’s, “living the high life” isn’t in our vocabulary unless we’re having a Miller Lite on the beach. There is no “life in the fast lane” or “rich kids of xyz.” Most of us are still keeping a heavy stockpile of Ramen Noodles and Totino’s pizzas in our fridge (bad habits die hard), while maintaining just enough money to go out on the weekends. This being said, I can make a few assumptions: 1. Unless you’re living with roommates, you pad is relatively tiny. 2. Home decor falls low on the list of shopping priorities. 3. Everything is too large for your small space. Let me share a little trick with my fellow small-home-renters: visually heavy weighted furniture pieces will eat up your small apartment. Buy pieces that are visually light: glass, acrylic, Lucite, and mirrored furniture. Interior and furniture designers have created some absolutely stunning pieces for the everyday home. 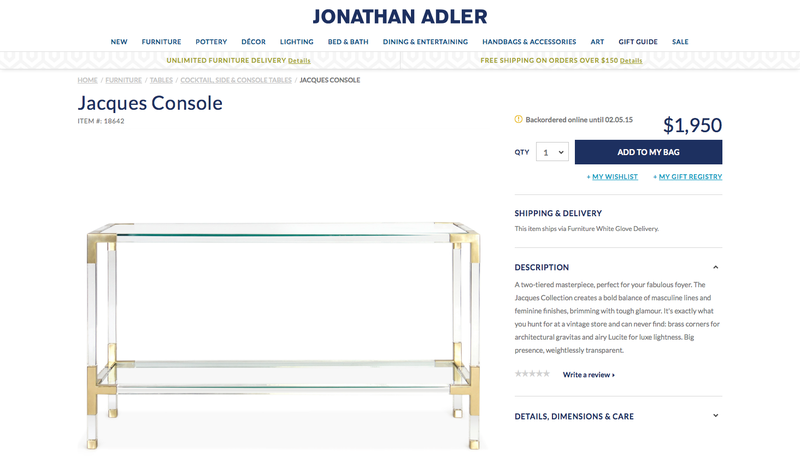 One of my favorite on-trend designers, Jonathan Adler, has an entire collection devoted to Lucite and acrylic pieces. 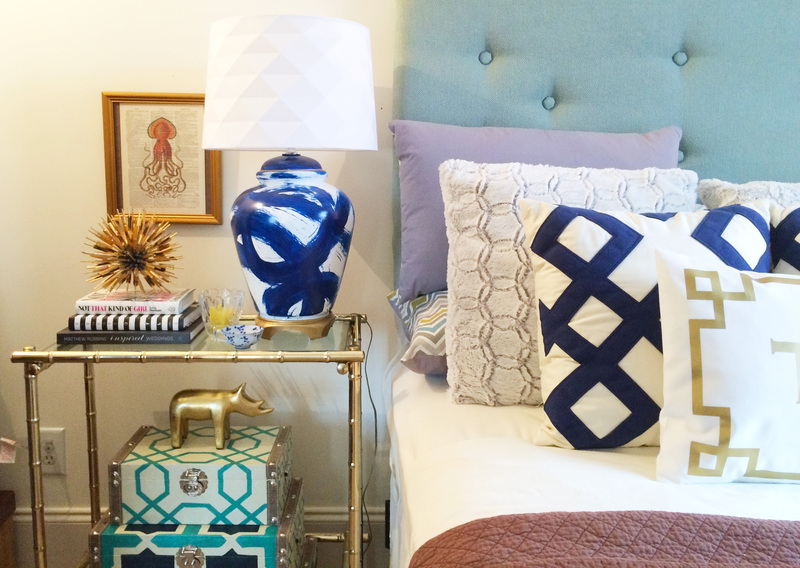 Most are finished with a pop of color or brass accents that are so fab, I can’t stand it. These designer pieces can be found all over the map. The trick is to find them at a price point comfortable to you. Start small with an acrylic bar tray and move up to an industrial glass coffee table when you can afford more (I found mine at Celadon Outlet on sale for $200 – steal!). Just because they are clear, doesn’t mean they have to be boring. Look for something with intricate detail for a less contemporary feel, like this thrift shop find in dire need of a coat of spray paint! A little online shopping gets you halfway there. These pieces are more airy and will not visually weigh down a room. Mirrored pieces reflect light making a room seem brighter and less cluttered. Though, you will have to do some measuring to make sure the piece will fit! No one wants to spend $200 just to have a coffee table that is too big! 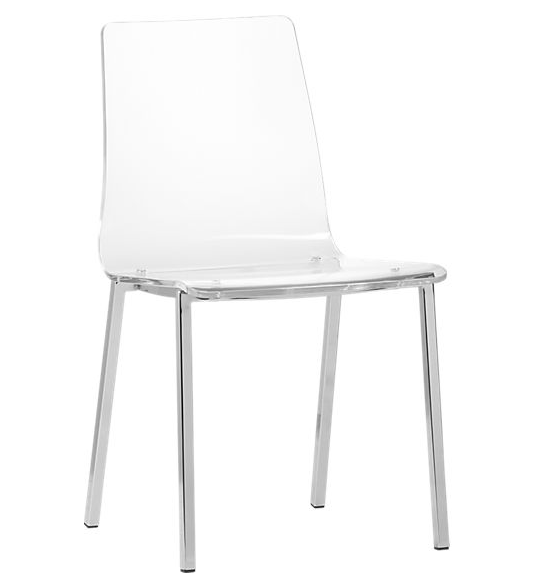 CB2’s Vapor Chair, $179 each | Buy here! Perfect for a small eating area. These lightweight chairs will make a cramped kitchen look a bit more airy. 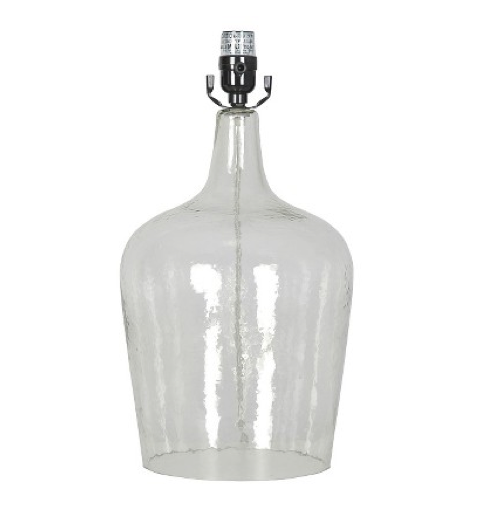 Target Threshold Artisan Glass Jug Lamp Base, $12.49 – $44.99 | Buy here! I love this large statement piece. You get the look of an oversize lamp, without the heaviness of a dark or bold color. 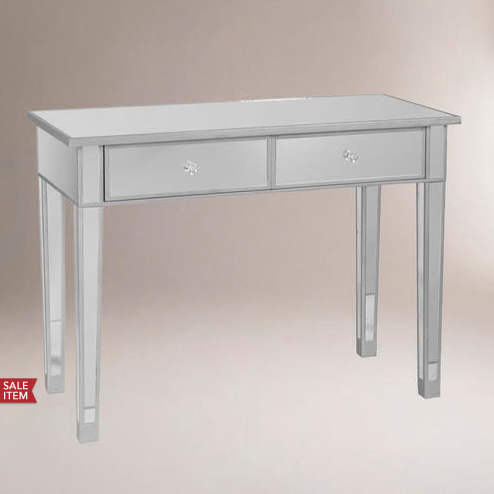 World Market Mirrored Console, $233 | Buy here! I love this in a hallway, but it could also be used as a vanity or tv stand. Always think outside the box! Quick – it’s on sale! 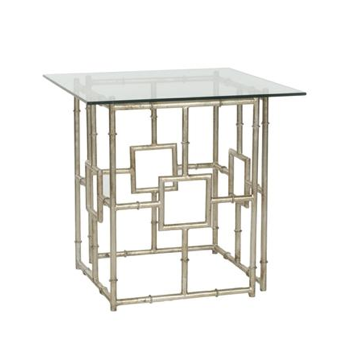 Sears Safavieh Dermot Accent Table, $163 | Buy here! I will admit, I’m not a huge fan of iron bamboo legs. I would spray paint the base a kelly green to make the bamboo pop! Take a look at the entire Safavieh collection – I’m in love with the details and the prices! 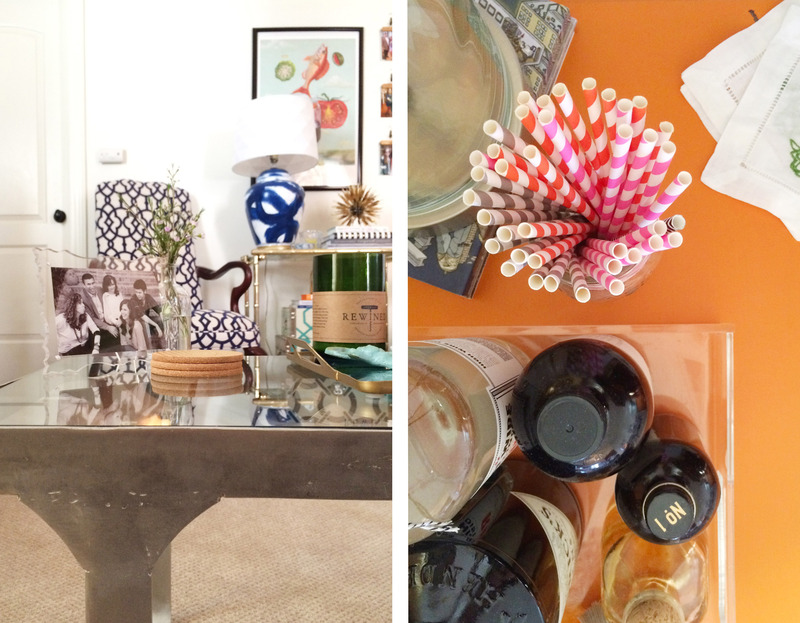 Things to remember: look for fun accents and little details. Be sure to measure your space before purchasing. Pair your lucite and acrylic furniture with fun color and contemporary furniture pieces – an eclectic look is always on point!